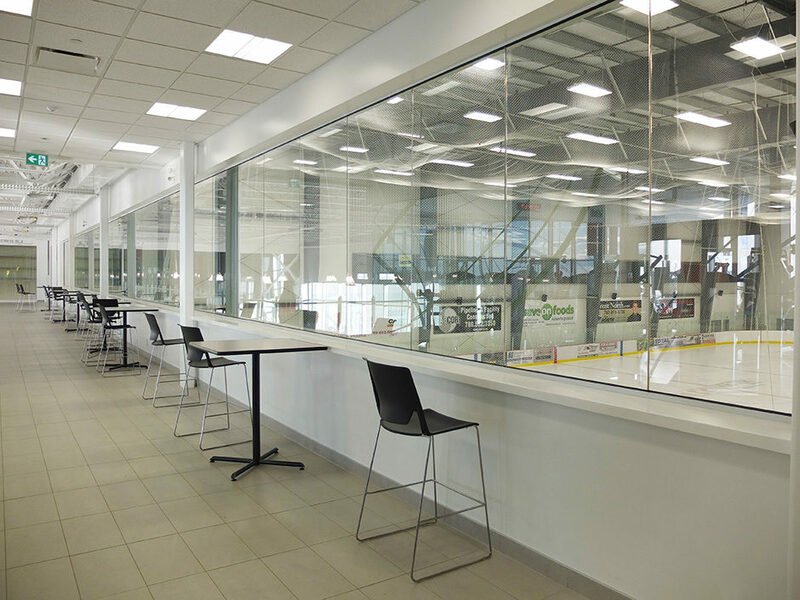 TWGP oversaw the design and construction of the new County Sportsplex for the County of Grande Prairie. 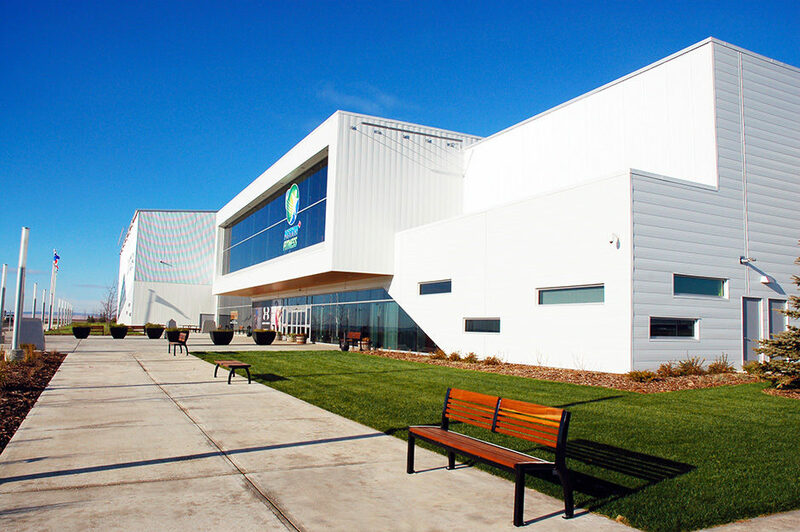 This Thirty million dollar 158,500 sq.ft project consists of a twin arena facility, half pitch soccer (designed to be expandable to a full pitch facility) , 3 lane running track, fitness centre, multi purpose rooms, and a transparent lobby which provides views into all activities. 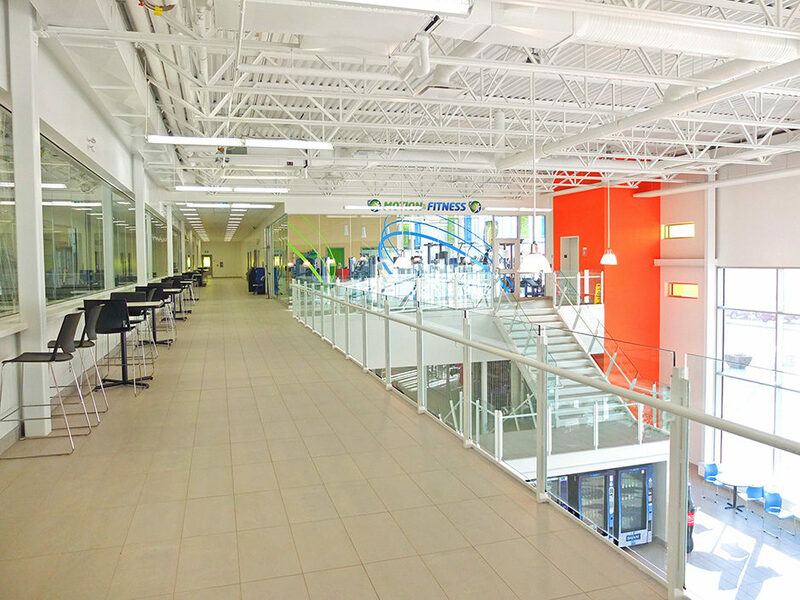 The driving idea of the facility design was energy efficiency , functionality while creating maximum visibility into all the amenities from any location in the facility. Extreme Budget control and use of pre-eng structures allowed us to include a “Fieldturf” half pitch soccer rather then the original programed typical indoor soccer pitch with hockey style boards. The floor plan was designed to easily add the additional half pitch at a later date and was priced all the way through working drawings as alternate price while final decisions on budgets were resolved. 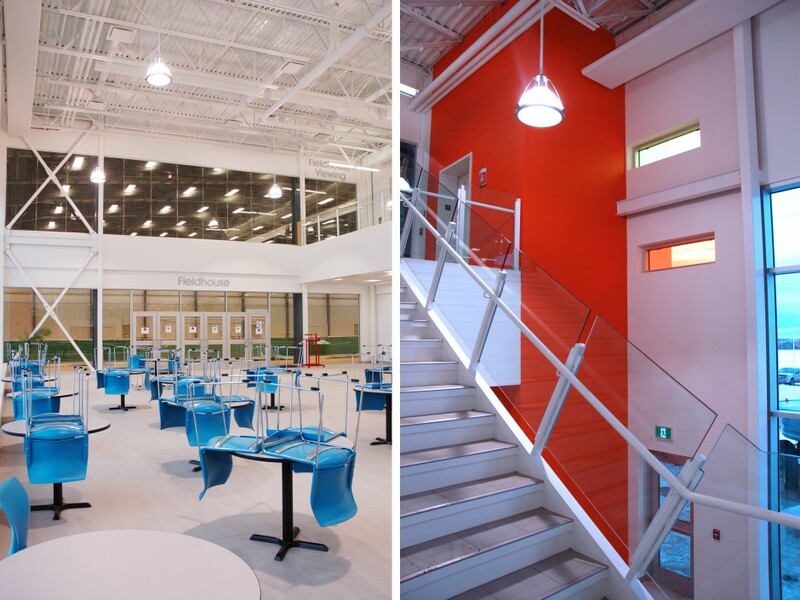 The modern exterior and horizontal elements carry throughout the interior with mono color and bright color hits giving the facility a exciting yet clean look.